"Hold on, I just need to take a break," I say, pulling the Oculus Rift off my face and blinking as a dimly-lit conference room comes into view, along with Techland producer Tymon Smektala. I just spent the last twenty minutes or so playing Dying Light in virtual reality—alternately creeping through darkened streets attempting to avoid the walking dead and then sprinting terrified across rooftops trying to escape the throng behind me. I'm a little sweaty. I'm a little nauseous. And I'm a lot excited. 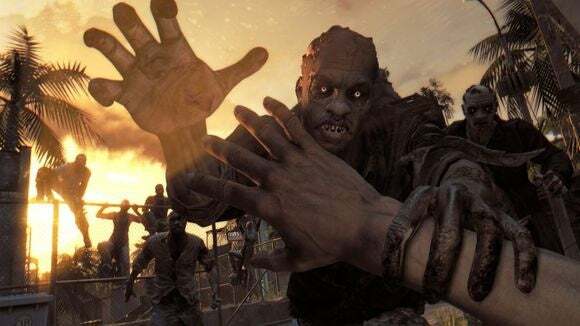 Dying Light is Techland's spiritual successor to its 2011 game Dead Island. 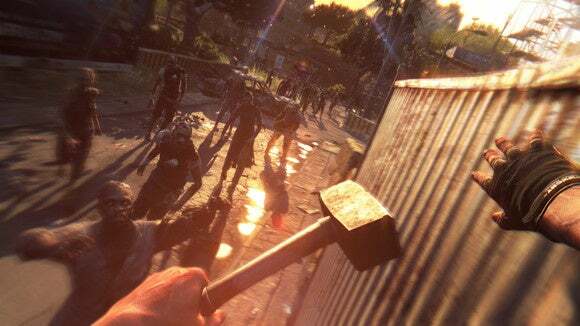 It's slightly confusing since studios played musical chairs and Deep Silver eventually tasked Yager with making the official Dead Island 2, but the idea's still the same—big world, lots of zombies, and a focus on melee weapons. Taking place in Turkey, you're tasked with infiltrating a quarantined city and figuring out what caused a zombie outbreak. And then you get bit like, ten seconds into your mission. Idiot. So knowing that there's tainted blood flowing through your veins and you could turn into a zombie at any moment, you've got to follow through on your original mission in hopes that there's a cure out there. It's a solid foundation for a game, despite my admitted fatigue when it comes to zombie games at this point. 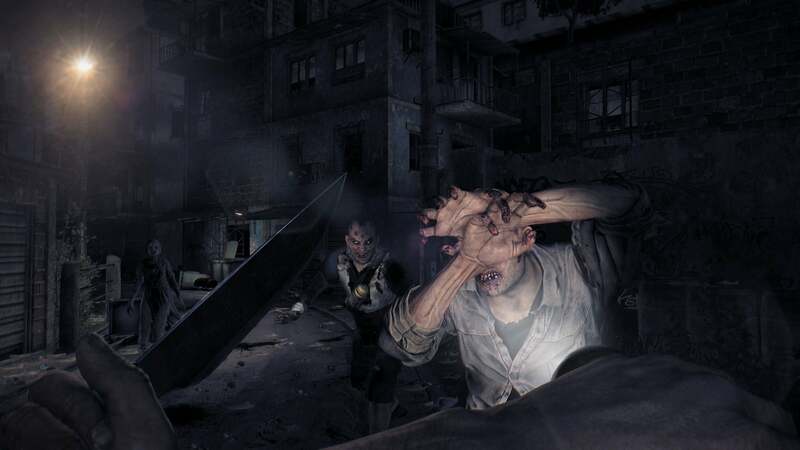 Dying Light and its brethren tap into one key desire for players—they want to feel smart. And there's nothing better at making you feel superficially smart than making everyone else dumb, like when you activate a car alarm, watch a horde of zombies shuffle over to it, and then see the car explode into hunks of shrapnel. Dying Light channels both old and young Romero, opting for slow and dumb zombies during the day but busting out fast, predatory zombies after nightfall. Here, the only safe way to survive is to run. Luckily, running is what Dying Light does best. Like Mirror's Edge of yore, Dying Light's key feature is first-person urban traversal, otherwise known to the hip kids as parkour. Run up a ramp, leap off the edge, grab hold of a drain pipe, clamber up to the roof, hurl yourself to the next roof, hit a zombie in the face with a lead pipe, slide under a fence, jump off another roof, land in a pile of trash, get up and keep running. If you skipped Mirror's Edge for whatever reason, well, it's basically first-person Assassin's Creed. Now imagine strapping an Oculus Rift to your face and leaping off those rooftops. Try to hold onto your stomach. I'm realizing there's a very easy way for developers to get my attention: Include Oculus Rift support in a game where I don't expect it. I've got this amazing Oculus Rift DK2 sitting on my desk. It's one of the coolest gadgets I own...but there's so little to really play on it. There are some incredible demos on Oculus Share, and a handful of full-scale games with either official or cobbled-together support—Alien: Isolation, War Thunder, and Elite: Dangerous, among others. With no consumer-aimed Oculus product on the market, though, the incentive for developers to include Rift support is pretty low. Dying Light features full native Rift support. Sort of. 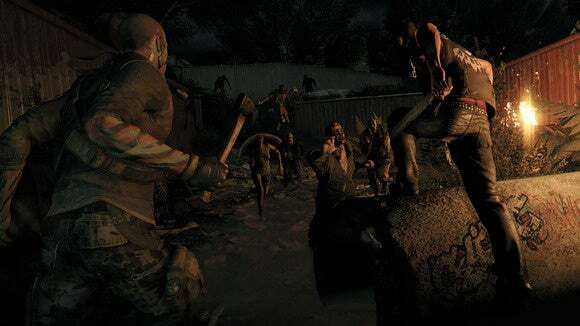 In the early build I saw, there were still some weird issues Techland was wrestling with, especially regarding pre-rendered cutscenes and the HUD. The core of the game is Oculus-ready though. I began my Rift demo standing on top of a ten-story tower, toes peeking over the edge of some rickety scaffolding. Earlier, playing on a standard monitor, I'd scaled this tower and then leaped off the other side without thinking twice, landing on a bit of scaffolding below. It turns out your brain's a lot more skeptical about jumping off the edge of a hundred-foot tower when it's semi-convinced you're about to actually fall to your death. Or at the very least break an ankle. Smektala let me roam around the sandbox for probably fifteen or twenty minutes in VR, though it's hard to tell time with the Rift strapped to your face. I scaled walls, climbed cars, sliced zombies apart with a knife, and crept through pitch-dark streets listening for the telltale signs of ragged zombie breathing, a.k.a. the warning sign that says "stay the hell away from here if you want to live." Oh, and I (mostly) kept an iron grip on my stomach. Oculus added a "Comfort Level" classification system for demos a few months ago. I have no doubt that Dying Light is one of the most intense, unnerving VR experiences I've ever had. I've played a ton of Oculus demos and thought I was mostly over the motion sickness, but Dying Light is on a different level. First-person parkour is not an easy thing to stomach with the Rift on, when your brain knows subconsciously you're just sitting in a chair. On top of that, there are certain sequences that definitely weren't built with VR in mind. Smektala jokes about one with me where your character awakes on a bed and sits up. No big deal on a normal monitor, right? Well, seeing the entire horizon turn sideways with the Rift on was enough to make me break out in a clammy sweat and mutter a few expletives. Intense works both ways, though. Nailing a challenging jump or stumbling on a horde of zombies in the streets is exhilarating when it takes up your entire field of vision. If you can get that sense of "presence" as VR enthusiasts say, the city becomes a nightmarish playground. This is the best game demo I've played since Alien: Isolation's VR experience, and for similar reasons—there's a visual fidelity that's not possible for most small teams making demos in Unity or Unreal 4. That visual fidelity comes at a cost, of course: Performance. 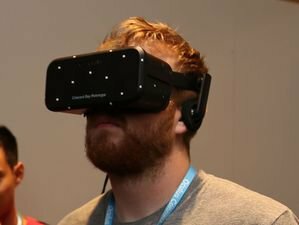 To run properly, the Oculus Rift currently needs games to output a steady 75 frames per second at HD resolutions. That's a heavy tax on hardware, and we haven't even reached John Carmack's dream of 90-plus frames per second. Forget all that, though. This is what the Oculus Rift needs to be successful: A solid base of Rift-enabled, big-budget titles at launch. It's funny, because I feel with the Rift the way I'm sure console people feel when new platforms launch. "I'll play anything, if you tell me it has Rift support." 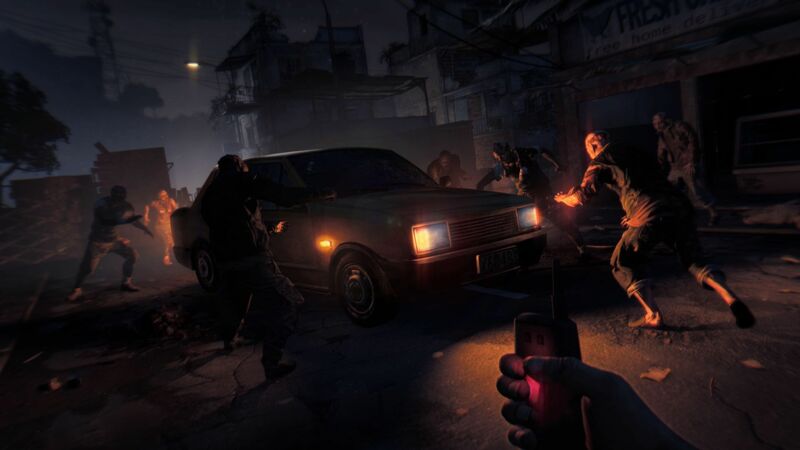 Not that Dying Light seems like a bad game. I actually really enjoy what I've played, and I'm looking forward to the end of the month when I can play more of it. The parkour is smooth, the weapons are creative, and the split in predator versus prey over the course of the day/night cycle opens up some fascinating sandbox opportunities. Mostly I'm just excited to have a reason to break out my DK2 though. 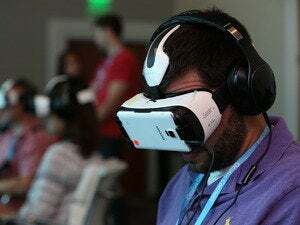 Even if I can only play in virtual reality for twenty minutes at a time, those twenty minutes are worth the clammy hands and potentially heaving stomach. 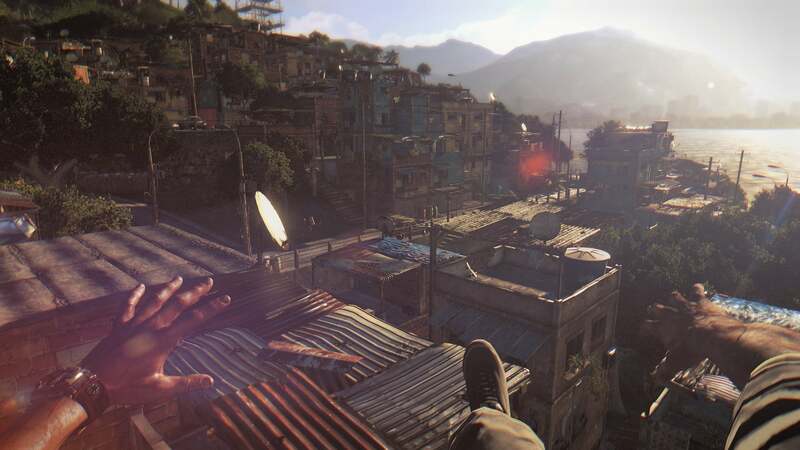 For more on Dying Light, check out our E3 preview coverage here.